We’ve all been there. You’re plugging away on your new site, your images are filling the space just as you imagined, your design is coming to life….and then you sit down to write your ‘About Me’ page, and suddenly your momentum stops. Summarizing (and more importantly selling) yourself as an artist and business owner in just a few short paragraphs is a daunting task. How do you let potential clients know just how amazing you are while convincing them to employ you over someone else in your industry? Your about me page should give your audience a small glimpse into what it would be like to work with you. Take a moment to step back from selling your product and focus on selling yourself as an individual. To make things simple, we are going back to the old elementary school technique of identifying the 5W’s and an H. Now, you are going to be answering these questions yourself and will use the answers to guide the content on your about me page. Decide who your target audience is. Research them, check out their social media, study their demographic, and use this to dictate the tone of your about me page. Are you a photographer trying to reach potential brides or families? Maybe try a more personable and casual tone. Are you trying to reach out to advertising companies or newspapers? Maybe a formal approach is the way to go. Whatever you decide, make sure that the feel of your about me page matches the feel of the rest of your brand experience in addition to where you want to see your image going in the future. Pro-tip: Find someone in your target audience, whether it be a friend, sibling, coworker, fellow patron at a coffee shop, or a stranger on the street, and ask them to read your about me page. Ask them what their first impression is and if they would like to hire you as a result of what they read. Ask them if it is easy to read and holds their attention. This is key! If the above feedback is positive, your about me page is well on its way to grabbing the attention of your future clients. Regardless of what industry you are in, we know that you believe your services are the best, and we know that you want to share them with the world. However, what if we told you that no one cares about what you have to offer? It is your responsibility to make people care. It’s time to introduce the face behind the brand and services that you are selling throughout your site. Keeping your target audience in mind, what makes you stand out in the crowd? What makes you different and more desirable than the rest? Creatively let your audience know this as you sell yourself as an individual through your about me page. Have you made your business plan yet? Though it may not seem related to a simple about me page, it is absolutely vital to know and understand where you want to take your business in the future. As you create and publish content, you are creating an online brand and image for yourself that will stick with you for years to come. In todays day and age, most consumers are not only looking to buy a product, they are looking for an entire brand experience. 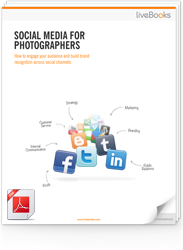 Create goals and work to create a cohesive online image that will guide you towards your aspirations. Additionally, let your audience know what you would like to do. You never know who may be looking for the exact services that you are dreaming about offering! When I am not working, I like to ______. Don’t be afraid to let your audience know who you are as an individual. What do you do when you aren’t working? How do you enjoy spending your time? Is there anything about you that you think clients may relate to? This is a pretty important piece of the puzzle that will allow your web audience to connect with you on a personal level. For example, maybe you absolutely love traveling and spend most of your free time dreaming about your next destination. Include this in your about me page! Odds are, there are plenty of people in your audience that feel the exact same way and would instantly be connected to you as an individual. While this could have the potential to turn certain clients off, it could also catch the eye of the exact person that you are trying to work with. We all want clients we mesh well with, right? Take a moment to reflect on the days when you were just getting started in your specific industry. What was it that sparked your interest into getting into business? That kept you motivated and excited to create new content during the toughest times? What keeps you going now? Take a moment to think. Find something meaningful. Find something that will resonate with your target audience. Maybe include the story of the exact moment you knew you wanted to make something more out of your hobby, or tell your audience about your hopes and dreams for the future. The most important thing is to not only tell your viewers what you do but why you do it as well. Step back from selling your services for a moment (that’s what the rest of your site is for!) and share a little bit of the soul behind your business. How can people reach me? Now that you have people hooked on who you are as an artist, let your audience know how they can easily get into contact with you. Include links to your contact information and social media profiles on your about me page to ensure that interested customers understand the best ways to stay connected with you. Pro-tip: Think about including a photo of yourself on your about me page (Bonus points if it is an image of you in action!). Though this is not directly related to getting into contact with you, this will allow your potential customers to connect with you on a personal level while identifying a face with the name on your brand. 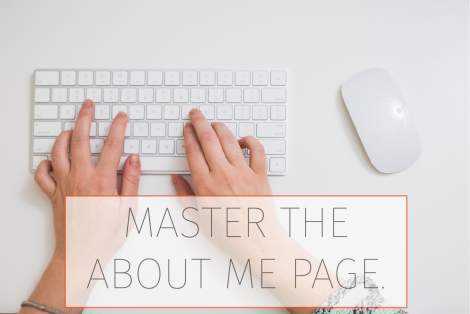 While it is not necessary to include each and every aspect listed above in your about me page, it is important to put quite a bit of thought into crafting the language and content of your about me page in a strategic manner. Ready to get started? As a kid growing up in Ohio I started a door-to-door sled-pulled grocery service for elders during the Blizzard of 1978. In the early 90’s I started the Chicago MadHousers to build small temporary shelter for homeless individuals. Ten years ago I started FiftyCrows Foundation to support documentary and photojournalistic photographers that document social issues. Renowned photographer and National Geographic Society Fellow, Chris Rainier, asked me to help him to start the NGS All Roads Photography Awards to support storytellers documenting their own culture. And here at liveBooks our philanthropic efforts are extensive, from supporting an orphanage in Mexico, to working in the local homeless kitchen, to donating over one hundred websites for organizations around the world. But why? Why do these things? Last week I had visitors from Iran. One, an outstanding Iranian photographer that had won an All Roads Award back in 2006. The other visitor was her husband, a Washington Post correspondent based in Tehran. I remember the first workshop for the All Roads winners, I was teaching them the basics of how to shake hands, how to create an elevator pitch, and of course how to put together their new liveBooks site. Now, four years later, I was the awe-struck student, listening intently to Newsha’s tales of her assignments for The New York Times, exhibition opening under the terror of being arrested, awards and honors from around the world, and the evolution of her artistic vision. I once heard that, “we are not looking for the meaning of life, but rather, the experiences that remind us what it means to be alive.” For me, the experience of being of service for a fellow human is such a reminder. After Newsha and Thomas left, I smiled for days, knowing that in some small way I had contributed to her path. This is why we do these things. This is why I suggest that you too find a path of service. Regardless of how small you might think it is, it can have a tremendous impact in ways you may never even know. The return on the investment is enormous, and it may even help your business in some way. I would love to hear from you about ways you’ve blended your creative vision and your profession. Let’s see how many of us are giving, and in so doing – receiving. If you’re in San Francisco this week be sure to catch Chris Rainier at the Herbst Theatre on Wednesday, April 6th as he discusses his efforts to record the remaining natural wilderness and the indigenous cultures around the globe by putting these wonders to film and using the visual stories to bring about social change. And, please check out the website from my Visitor from Tehran. Keep singing Newsha – loudly! Contacts – Your True Pot of Gold. Growing up in Ohio my basketball coach used to drill us non-stop on the basics. So much so that we often wondered when we would actually get to play ball. But once the season started we discovered we were in better condition and better prepared for the season than our competition. We ended up going to State and I’ve never forgotten the importance of having the discipline to work on the basics every week. It is what makes winners. I suggest that taking time each week to work on your contact database is one of the most basic things that you can do to assure that your business continues to grow. Some of you may be asking, “so what is a contact database?” In the simplest of terms it is a list of all your past clients and all of your prospects. At a minimum it should contain their name, company, title, address, phone and email. Do you know that 40% of creatives at advertising agencies change jobs each year? 40%! So that great Art Director that you worked with last month may not be there next month. Where did they go? Who took their place? The average family moves every five years, every three years for those under 30. So for those wedding photographers out there who are interested in developing a long term relationship – the so-called “photographer for life”, you have your work cut out for you as well. For example, let’s say that my client was Rick Jackson, the Chief Marketing Officer at VMWare. A quick search on Rick Jackson VMWare and I find in his LinkedIn profile that he was in major marketing roles at Borland and BEA. He has recommended two Borland Marketing people in LinkedIn. I’ll send Rick an email to say hello, mentioning that I saw he used to be at Borland and had recommended a few marketing people there, and I was wondering if he might make a few introductions for me. I also notice that VMWare is owned by EMC, so I will ask Rick if there are other people at some of the other brands within EMC that he could also introduce me to. Within minutes I have identified prospects that I think I can get introductions to from someone that knows me, likes me and can vouch for my work style and professionalism. Repeat this every Friday for a few hours and I guarantee that your business will thrive. What is it that you want with your business? Write it down on a pice of paper and put it above your computer. Why? Because success requires discipline and discipline often times is simply remembering what you want.